The thriving metropolis of Fort Myers, Florida, is home to an abundance of cultural, ecological and historical points of interest, among many other remarkable features. Named for a Civil War army colonel and boasting a long, rich history, Fort Myers is comprised of a beautiful area that stretches south along the glistening waters of the Caloosahatchee. Downtown Fort Myers, also known as the River District and City of Palms, is the heart of the community and affords residents great shopping and dining opportunities. Once the winter getaway for innovators Henry Ford and Thomas Edison, the city is a popular destination among vacationers in Lee County, Florida. In addition to these interesting features, Fort Myers boasts a plethora of other remarkable amenities that are sure to impress prospective homebuyers. Not only does Fort Myers have excellent casual and fine dining options, the city also has a vibrant nightlife. Within this splendid community you’ll find high-end outlets, malls and numerous boutiques, as well as great entertainment options. Other attractions include the Imaginarium Hands-on Museum & Aquarium, the Southwest Florida Museum of History and a handful of art galleries. All of these attractions are easily enjoyed by Fort Myers visitors and residents due to the gorgeous year-round weather. Located on the Gulf Coast, Fort Myers also has an undeniable abundance of natural beauty. Homes for sale in Fort Myers include condos, townhomes and single family homes of varying ages, sizes, architectural styles and locations. 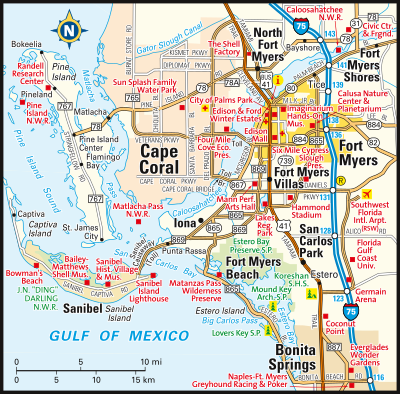 The listing prices of homes for sale in Fort Myers varies depending upon those factors. For example, you can find a two bedroom, two bathroom condo for as little as $69,000 and a five bedroom, five bathroom single family home for around $4.5 million. If you would like more information regarding homes for sale in Fort Myers, Florida, please do not hesitate to contact us today for assistance.